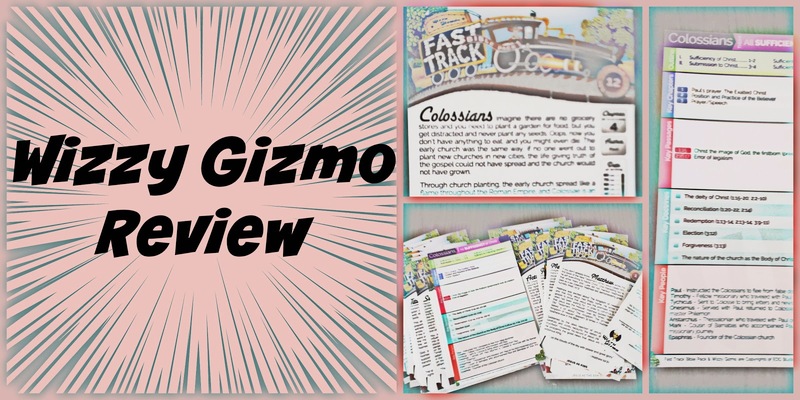 Wizzy Gizmo is a team of parents, leaders, and teachers that have come together to create a series of products in order to root children in faith. Their motto is "Equipping Children for Life by Exploring God’s Word." There is a variety of products like audio dramas, books, and Bible study tools that can be used as Christian homeschool curriculum or supplements or as kids devotions. 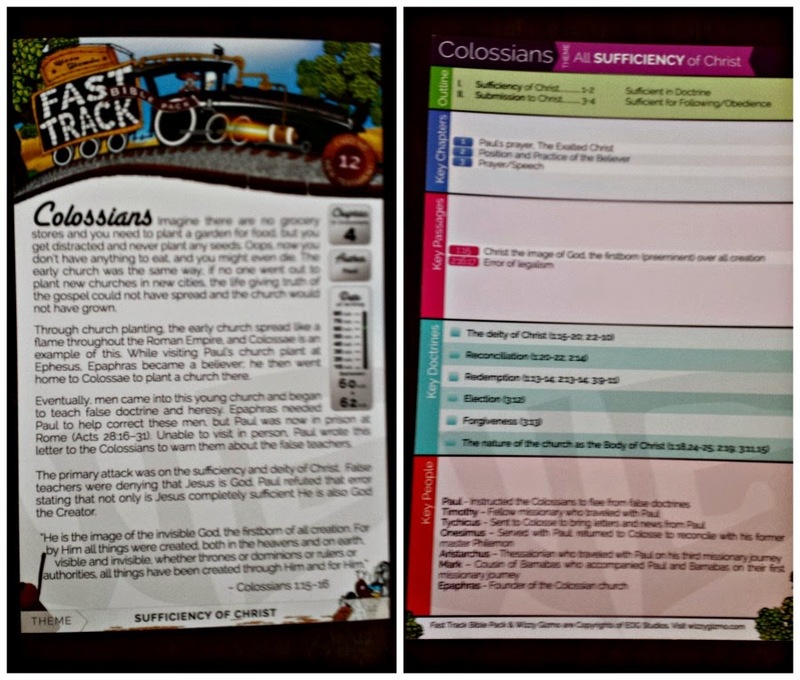 I was able to check out the Fast Track Bible Track (retails: $14.99). It is a 27-card set; one card for each book in the New Testament. Each card contains background information, an outline, key chapters, key passages, key doctrines, and key people. The cards are a nice stock paper, with easy font to read and colors to keep the sections differentiated. What didn't I like about it?